Marriage photo shoots happen once in a lifetime. Professional photographers are in demand nowadays. As they capture the most important episode in someone's life. These people use the best equipment's and high-end cameras to immortalize the special day of someone else’s life. These photographs not only make customers nostalgic. But they also help them relive their moments again when they see these photographs. But what if the photographs captured are not visible because the memory card is not working? One of our customers, a wedding photographer from Hyderabad faced a similar situation. Like our clients profession calls for he was to capture photos at a wedding. He had done excellent work by capturing the best moments of the couple. While transferring the pictures from the memory card to his computer he was unable to access them. He found that there was a minor crack in the memory card and was not able to view the wedding photographs. This landed him in a tough situation as his project had completely gone for a toss. He was in a position where he could not explain the situation to his customer. Our client was to share photographs with his customer for final selection in a few days. The photographer then reached out to one of the most popular camera showrooms in the city to check if they could help him reverse this situation. The store manager analyzed the situation and asked him to visit a data recovery center. The photographer got in touch with a few recovery centers to check if retrieving the pictures were possible. All expressed technological limitations in recovering data from cracked memory card. Our customer was running out of time and options which is when he contacted our Hyderabad center. We understood the criticality of the situation. We assured the customer that we would try our best to help him overcome his misfortune. After all, our engineers are experts in recovering data. We were challenged to recover photos from a cracked memory card. This case which was rejected by most of the service providers in the city. This was a complex data recovery case from a cracked card. Also, time was against us as our customer had to deliver the photographs to his customer in a few days. We not only had to recover data from a cracked memory card. But we also had to retrieve the data in the fastest time possible. After an initial analysis of the case where we gauged the extent of the crack in the memory card. 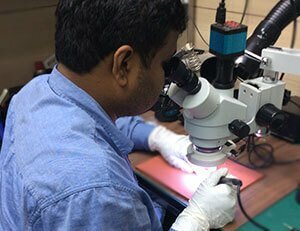 Our experts started to work on the case in our professional data recovery lab. Our approach to data recovery begun by removing the casing of the memory card. The engineers started cleaning/removing the coating from the chip. This is to check for data and controller signals in the memory card. We employed specialized data recovery tools to remove the coating from the memory card. We did this to test the functionality of the circuit board. All communication related to data transfer inside a memory card is done through the advanced PIN interface. Once we reached the circuit board of the memory card, our experts tried to find the flash card data structure. If the memory card circuit is not receiving the voltage signal, then it’s impossible to see the flash card structure. We created a customized PCB for the card. Our experts then created a clone of the card. 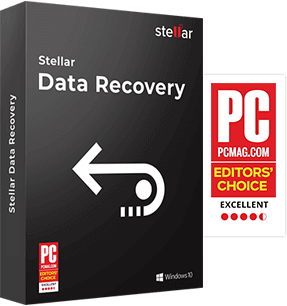 After data cloning was complete, our engineers recovered data with the help of our proprietary software. The most crucial element of a memory card is the flash memory chip and an intelligent on board controller. The controller manages operations like interface protocols, security algorithms for copyright protection, power management, clock control, error correction code algorithms, data storage and retrieval, etc. The next step was to check the connection signals. The broken connections of memory card circuit board were fixed. Once we got the circuit board working, the engineers used a special solution to clean it. The engineers connected the memory card to the system using a card reader. The card reader was able to read the memory card, and we recovered data in time for the client. 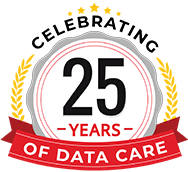 Our data recovery process began with asking the customer about the importance of the data. Gauging the amount of time we had at hand to recover the data. In this case, the data was critical and time was not on our side. So, there were almost no chances of error. One small mistake from our end could have resulted in permanent data loss. But our data recovery engineers are experts in their field. They work with a very high level of accuracy on every case. Removing bad blocks on the card. First, they tried to reach to the internal data structure on the card. Then had to find the data storage diagram. The engineers moved onto the most challenging parts of this job which were to find the PIN diagram on the card. This was to create a PCB for ciphering and decrypting the data stored on the card. They had to remove the bad blocks which were formed due to wear and tear. Our experts had to struggle with bad blocks on the memory card. They had to manually remove the blocks to get the data ready for reading. Our engineers performed this job with a very high level of accuracy. And we were able to get access to the complete data structure of the card. They recovered the data, and the listing was then shared with the customer. Our customer verified the listing and confirmed that the 100% of the data was recovered. 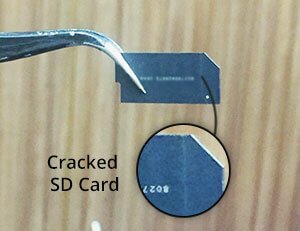 It took our engineers 10 days to recover data from a cracked memory card. Finally, we handed over the memory card to our customer with the complete data. Although these kind of cases are regular for our data recovery engineers. When it comes to battling against time during high precision cases, we put our heart and soul into the job. Our ultimate goal is not to let our customer down. A sign of relief on our customers face, and a smile is what matters the most to us.